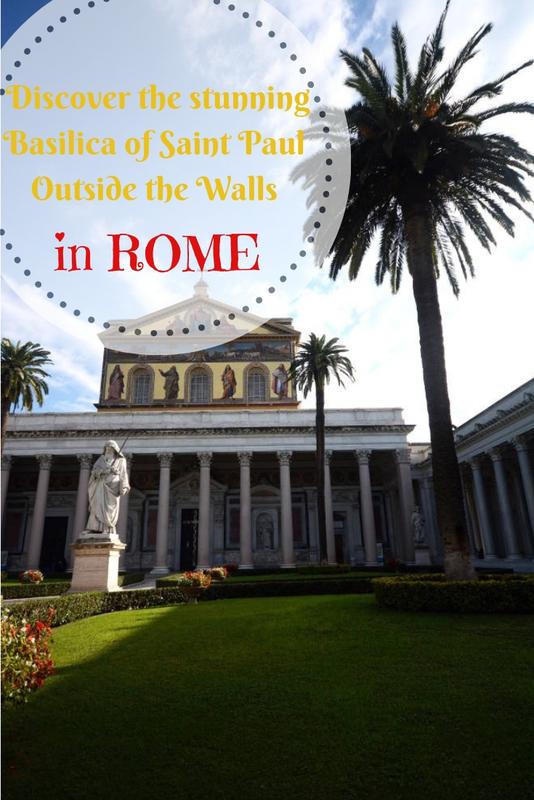 Huge and opulent, the Basilica of Saint Paul Outside the Walls is Rome’s second largest church after St. Peter’s in the Vatican. Even though one of the most beautiful churches in Rome and boasting a long history, it’s much less visited than it would deserve. 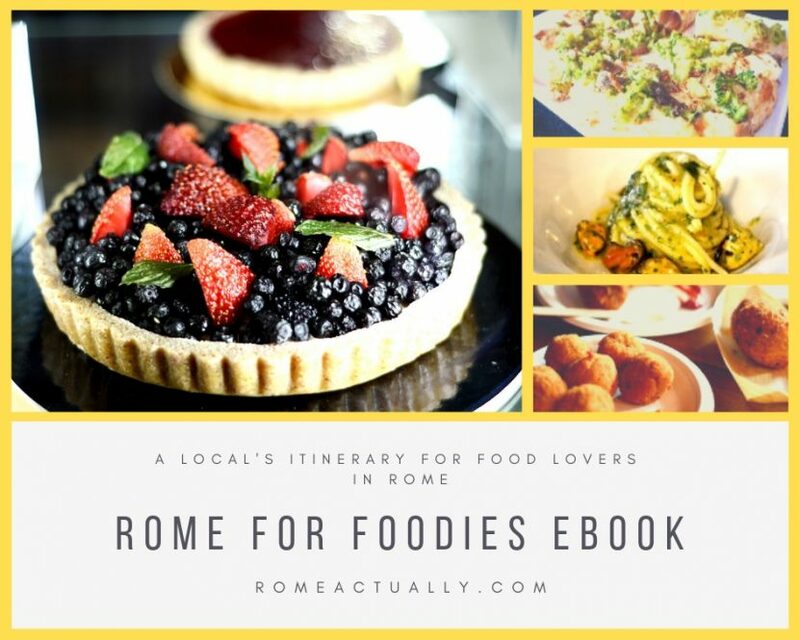 Located between Ostiense and Garbatella neighbourhoods, it would make for fantastic offbeat sightseeing in Rome. Especially because now there is my eBook with a full chapter on the area including where are the best places to eat. Saint Paul reached Rome in 61 AD for the judgement. Between 65 and 67, under Nero, he was beheaded. His body was buried some 3 km from the place of his martyrdom, along Via Ostiense in a Roman burial named “praedio Lucinae” because belonging to a Christian woman named Lucinia. According to tradition, the Basilica of St Paul Outside the Walls lies where Timoteus, a disciple of the saint, buried his remains. Shortly after the martyrdom of the Apostle Paul, his burial place became a place of pilgrimage and worship. Here, they built a memorial where pilgrims would go to pray during the centuries of the persecution. In 257 Emperor Valeriano made it illegal for Christians to gather and go to the cemetery. This caused the moving of the remains of St. Peter’s and Paul’s the Catacombs of St. Sebastian in the ancient Appian Way. When Emperor Constantine stopped the persecution against the Christians with the Edict of 313, the two saints were brought back to their respective resting place. It’s the same Constantine who ordered the building of the basilica on St. Paul’s burial place. They inaugurated it in 324 in a much smaller size than the modern one. Except for St. Paul’s tomb, the rest of the cemetery was heavily dismantled to make way for the construction of the basilica. The tomb of the Apostle was enshrined in a bronze cube covered with a marble layer where they inscribed “PAULO APOSTOLO MART”. Before the end of the 4th century, the basilica was already too small to welcome the increasing flow of pilgrims. 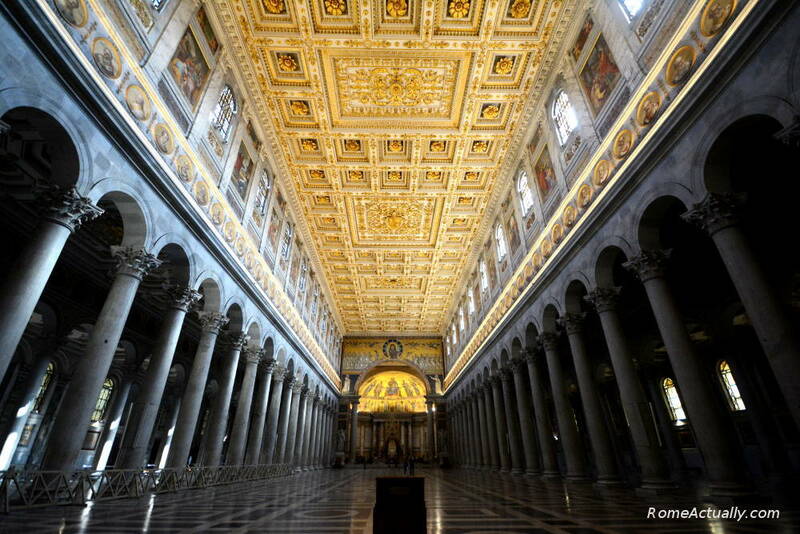 In 390 pope Siricius inaugurated the new church, much larger and with the same shape it has today. Right before arriving at the entrance of the church from Basilica San Paolo metro station, you can stop at the historical pharmacy of the local monks. Still now you will find their remedies as well as modern treatments. A stone’s throw from here, you will find the imposing gate to the internal courtyard and the basilica itself. The experience of visiting San Paolo Fuori Le Mura is only in itself worth your time when in Rome. The position far from the city centre often make it fall off the radar for many tourists, but I guarantee that if you do allot a couple of hours to visit, you won’t regret it. To enter the church you need to walk across a green courtyard. All around is a covered walkway protected by marble pillars. In the centre was a fountain no longer there. Today a tall statue of Saint Paul stands in the middle welcoming faithful and pilgrims. Beautiful mosaics decorate the facade. They depict the four prophets, the Christ between St. Peter and St. Paul, twelve lambs symbolising the twelve Apostles. There are three main doors, the one on the right-hand side is the Holy Door built for the Jubilee of the year 2000. READ MORE: See our post to discover more of the most beautiful and lesser-known churches in Rome. The basilica is a fantastic collaboration of majesty and art. 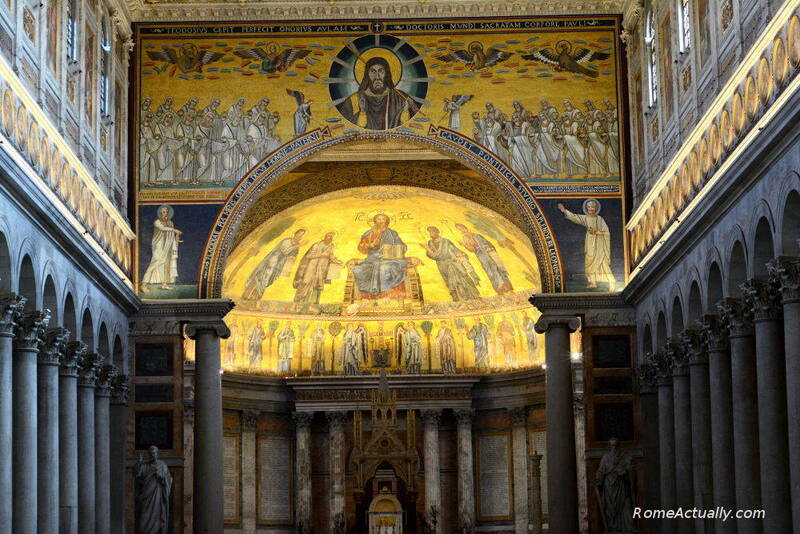 Inside, you will see stunning mosaics and fine decoration, alongside the central tomb of Saint Paul. Among the beautiful examples of Byzantine art is the internal part of the Holy Door. In the 13th century, more artwork decorated the basilica. An impressive art masterpiece inside Rome’s St. Paul Outside the Walls Basilica is the “ciborium”, the 13th-century tabernacle by Arnolfo di Cambio. This beautiful tabernacle lies on four porphyry pillars with golden capitals on top. A white marble balustrade surrounds the altar, while a yellow marble and bronze staircase leads to the tomb of Saint Paul. The church is particularly famous for the portraits of the popes on top all around the main nave. The portrait of the current pope is illuminated. In 1205 they started the works for the beautiful cloister attached to the basilica. You can get access with an entrance fee of 4 euro from inside the church. “Vassallectus” was the master who worked there until 1225. Then, after some 10 years break, the building was completed in 1240. The interior of the cloister is surrounded by four galleries divided by thinner, finely decorated pillars. Under the galleries, you can view relics from the ancient basilica and the nearby cemetery, including a Roman sarcophagus. The basilica is very big, and each area has its own decoration. This reflects also the different layers of history and architecture the building went through. Two monastic communities existed in the proximity of the basilica, a monastery for men and a cloister for women. They were later united in a single monastery that formed St. Paul’s Abbey managed by the Benedictine Monks. The wealth gathered in the years and also the position far from the city made St. Paul’s Abbey an easy target for the Longobards in 739 and the Saracens in 847. Until Pope John VIII decided to build a fortified wall around the basilica and the monastery, creating a real stronghold. From the cloister, before going out completely, stop to visit the archaeological site. Here you will find parts of the oldest complex dating back to the 5th and 6th centuries, probably the houses for the poor established by Pope Symmachus. You will also see how was the monastery in the early Middle Ages, parts of the construction site, even the pipes of the ancient plumbing system. Address: Piazzale San Paolo 1. How to get there: 5 minutes walk from Basilica San Paolo metro station, line B. Opening hours: Daily 7 am-6.30 pm, the cloister from 8.30 am. Entrance fee: Free for the Basilica, 4 euro for the cloister. After you visit this important church located between Ostiense and Garbatella neighbourhoods, I suggest taking a walk around the area. Garbatella is a local district that acquired the current appearance during the Fascist era. You can wander around its Lots, inspired by the old British urban planning, and walk along cobra-shaped Ponte Settimia Spizzichino bridge. Ostiense is a great neighbourhood where you can see the relics of the recent industrial past in Rome. Visit places like the old Gasometer, the road of the general warehouses, the fantastic Centrale Montemartini, Rome’s first public electrical power plant. Here you can see the old machinery beside statues from ancient Roman times. The museum continues in the different rooms of the old works of creating and distributing electricity and everywhere you will see pieces from the ancient city of Rome. Including the mosaics that constituted the floor of the magnificent Horti Sallustiani. Before leaving Centrale Montemartini, don’t miss the train of Pope Pius IX, that he used to travel to the other areas of his kingdom right before the annexation of Rome to the newly unified Italy. Complete with bathroom and a private chapel, it’s a very interesting sight.